Located near Chelsea Market, the Meatpacking District, the High Line and the recently opened Whitney Museum, City Winery is expected to add to the amenities and cultural opportunities available at Pier 57. 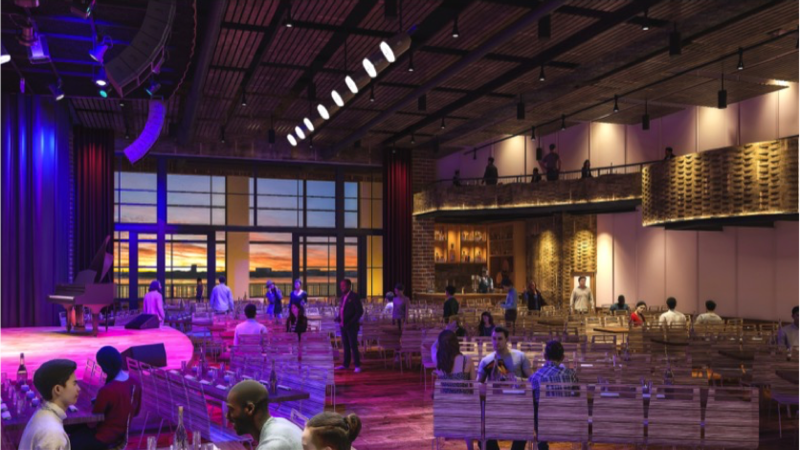 The new location will feature a seated 350-seat concert hall, a smaller 150-capacity loft space, a 100-seat capacity restaurant, a tasting room with Hudson River Park views and a fully functioning winery/wine production facility. Within the restaurant area will be a pizza bar and coffee roasting station. The tasting bars will feature the company’s proprietary tap system featuring over 12 wines straight from the keg. City Winery strives to create wine that contains low to no sulfites and to reduce the carbon footprint they leave behind. Dorf opened his first City Winery location in Manhattan in 2008, and it quickly took over a unique niche as a successful urban winery, concert venue space, restaurant and private event space. The company has expanded over the years and currently operates 10 locations across the country. The new NYC location epitomizes the combined culinary and cultural experience for which City Winery is known. The new venue plans to open in early 2020 and will be open 7 days a week, 365 days a year. 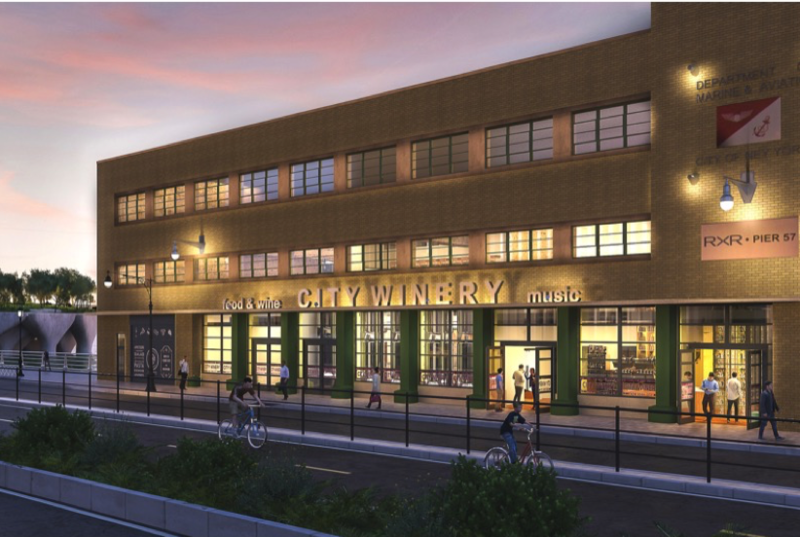 Renderings courtesy of City Winery/Fox Greenberg PR.